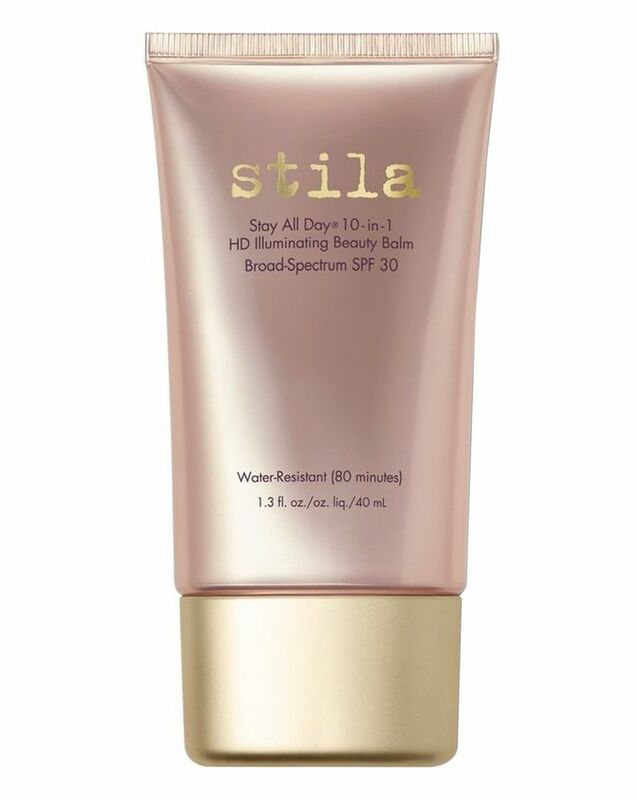 A rucksack must have and festival essential, Stila’s Stay All Day 10-in-1 HD Illuminating Beauty Balm will grant even lack-lustre skin types an enviable, youthful radiance. With innovative micro spheres to help minimise the appearance of fine lines and wrinkles, together with natural, skin-protecting emollients to fight the good fight against harmful environmental aggressors, this velvety, glow-bestowing skin perfector is the next best thing to live photo-shopping! Lightweight and crease-resistant, this can be worn alone, or under foundation and the oil-free, paraben-free formula makes this suitable for even easily upset complexions. We defy you not to fall for its seamless application and hard-wearing, light-reflective finish. Swoon. 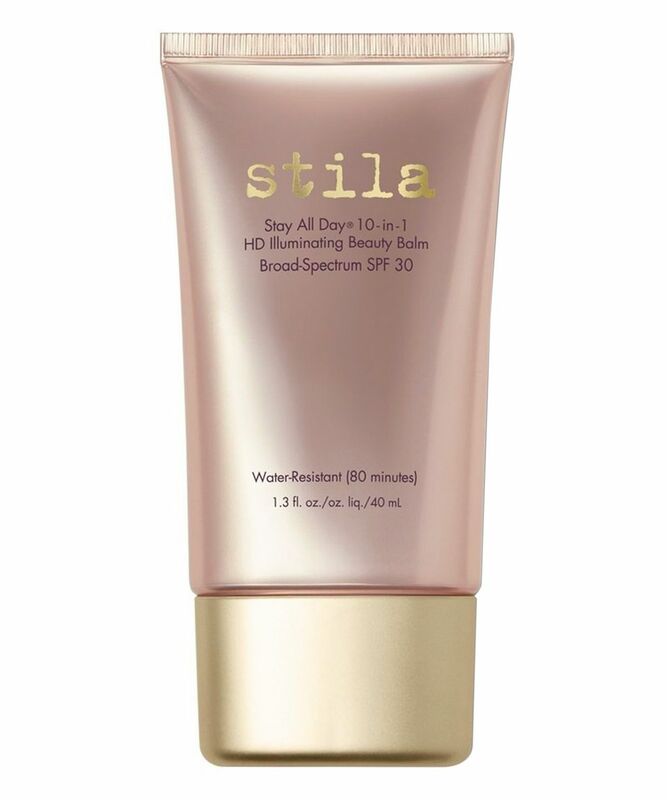 Stila’s ethereal illuminating beauty balm corrects, perfects, protects and enhances your skin in one simple step. The ideal way to lend your complexion a subtle, lit-from-within luminosity, the innovative formula hydrates and nourishes, whilst concealing imperfections, reducing wrinkle depth, warding off free radicals, shielding from the sun, minimising the appearance of pores, absorbing excess oil and calming any areas of redness or inflammation. Phew! It’s a certified make-up over-achiever, and while we love to loathe a swot this is one A* candidate we are clamouring to befriend. It’s also water-resistant – to keep you looking flawlessly gorgeous, whatever the weather may throw at you. Apply to cleansed skin as a moisturising, illuminating primer, mix with foundation for an all-over glow, or wear alone for a youthful, luminous finish. Can also be used to highlight cheekbones, browbones, cupid's bow and anywhere else you deem worthy of a little extra attention. Nothing keeps my make up in place like this product. If Stila will ever discontinue this product, I will be very sad. Makes my face look dewy and fresh, with a subtle glow and keeps my skin matte all day. The best ever for me! It's supposed to be oil-free, but it feels quite heavy, almost sticky on my skin and leaves me very shiny. But admittedly, I have oily skin, so I'm sure it may look beautiful on drier skins. OMG. I love this product. It is amazing and I am so happy to have discovered it. It actually does all the things that it says does and really well. Normally I find those descriptions to be an awful lot of hype and the product never lives up to them. In this case however, that is totally not the case and I couldn't recommend this product enough. I have never done reviews for anything in my life but I felt totally compelled to because this stuff is A-mazing!!! Totally agree with Gemma. Have bad skin, this product works. Wish I had discovered it years ago. Feels and looks stunning. Will never be without this ever. Thank you Stila . It does have rather a thick consistency, however, it is called beauty 'balm' so definitely feels thicker than any CC or BB creams. It does brighten up the face loads and helps with lines and circles. It suits my medium complexion. I have normal to dry skin so the amount of coverage is perfect for me, gives the no makeup make up look. It did gather around where my nostrils meet my face, and it clings to face hair a little. I have slightly large pores and it does not hide this brilliantly. Also if you have any slight scabs or spots it sits unpleasantly on them making them look a bit crusty. I would always apply moisturiser before using this product. It stayed on beautifully all night though, very pleased overall.